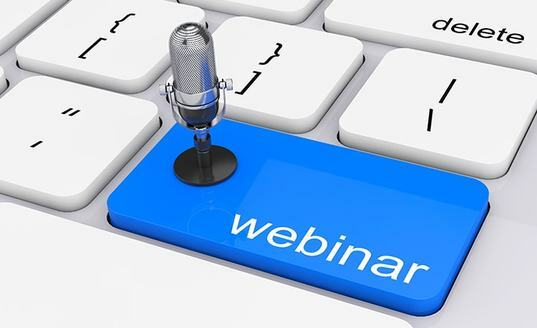 Since 2010, Skyline Exhibits has been offering free educational webinars that help trade show professionals exhibit better and increase their return on investment. Our webinars range from 30 minutes long to an hour, including a fun Q&A session where attendees can get their trade show questions answered by our experienced staff. If you are interested in attending an upcoming webinar, please click the button below to check our schedule. Does your company hold private events for your clients, prospects, vendors, or employees? Events like conferences, annual meetings, seminars, trade shows, corporate dinners, fundraisers, corporate golf outings, or product launches? Then this is the webinar for you! We discuss what you can expect when planning your next private event. In this webinar, we reveal how to combine merchandizing and marketing to make your products the star of the show, whether they are tangible products or an intangible service. You’ll learn how to display products to get attention, provide key information, avoid clutter, and get prospects interested. It is important to identify not only why giveaways can benefit your trade show experience, but how you can execute them well. This webinar explains just that, as well as identifies which giveaways work best and which you should avoid. How do you stand out from the hundreds, even thousands of booths on the trade show floor? It’s not always about the size of your booth or even your budget, but by the power of design. In this webinar, we will reveal 21 tips gleaned from some of our Skyline designers you can use to elevate your look so your company brand gets the attention it deserves. Learn the secrets to training and managing an effective booth staff that properly engages and qualifies attendees. You’ve invested time and money in your next trade show or event, make the most of it by leaving with a list of qualified leads gathered by your booth staff team. Key takeaways include how to qualify an attendee, tips on how to engage in effective conversations, and more. You know that building a network of professional contacts is good for you and great for your business. Yet, it is so hard to know how to start or what to do once you get to that initial conversation. In this webinar we will walk you through how to engage potential contacts, how to leverage social media to expand your reach, what to say and how to follow up once you made those connections. Digital Marketing is everywhere. But what is it and how can you leverage all these tools for your next trade show. Utilize digital marketing to reach prospects where they are… on their mobile phones, on social media or on Google so they can become aware of your presence at the show and add your events to their calendar. Learn more with this webinar. You don't know what you don't know! We're here to break down the complex rules and regulations surrounding trade shows, so that you aren't left wondering why you can't set up your own booth, when to expect minimum labor charges, or how loud you can play music in your exhibit area. Today's most competitive marketing cannot rely solely on the exhibit and graphics to pull in new customers. Watch this webinar to learn how to build a comprehensive booth experience to take your trade show results, and brand power, to the next level! Trade shows are governed by many hidden, unbending rules. But you won’t find these vital rules written in any show book. 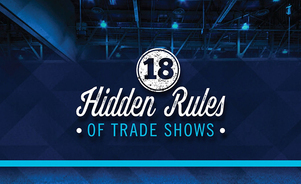 Attend this webinar to learn 18 unwritten rules that govern how effective you are at your trade shows. Social media is not a threat to trade shows! 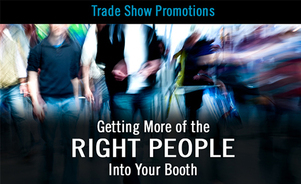 It's actually a great medium for getting more people to your trade show booth! Attend this webinar to learn which social media websites to use first, what content works best in social media, and more. 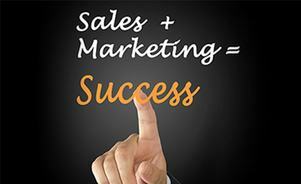 You've got a tremendous investment in time and money in marketing your business at trade shows. Don't get in the way of your own success! In this webinar we'll reveal 10 mistakes exhibitors make again and again - then tell you how to fix them. Want to use tech to enhance and advance your trade show program Then the Tech for Trade Show Exhibitors webinar is for you! A large and growing number of exhibitors have embraced technology to attract more people to their booth, create greater interactivity, and streamline how they capture and fulfill leads. 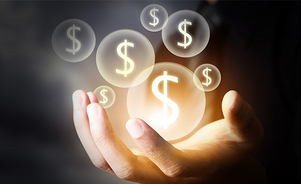 In this new webinar, we will answer 8 common questions to help you better manage and measure your trade show and event marketing budget, including how much you should budget for your trade show program, how to stretch your budget, and how to calculate your return on investment (ROI). The average trade show attendee only visits about 5% of a show's exhibitors -- and attendees mostly decide who they'll see before the show even starts. How do you beat those odds? With better trade show promotions! 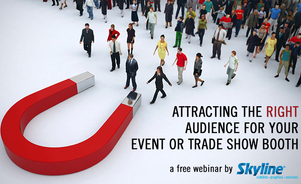 Boost your booth traffic and get key decision makers to visit you with help from our free webinar.